The FleetComm private group has taken a huge upsurge in join requests, and our Mobius groups are acting as an overflow to house players into PvE/Ganker free private groups. 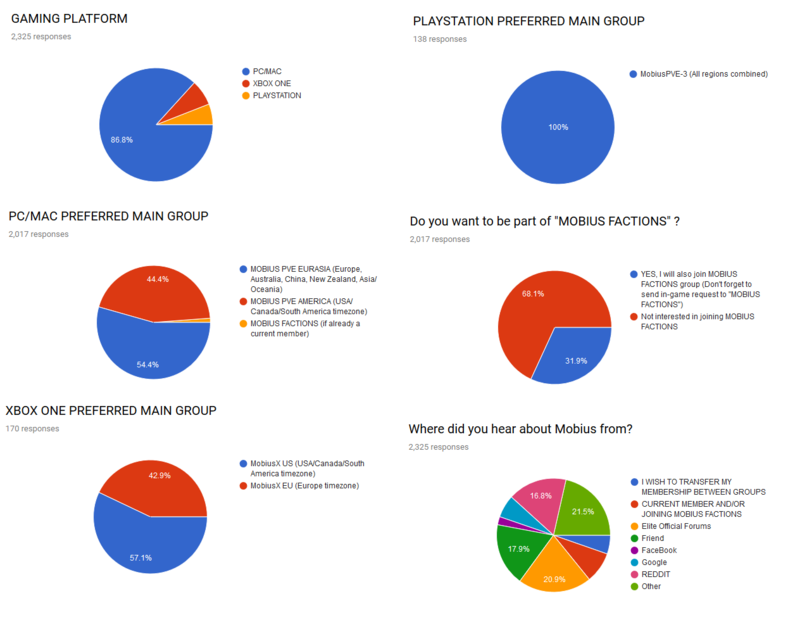 There is now a slightly different process to accepting/inviting/approving new members to the Mobius Private groups. There also seems to be some situations where the groups cannot be located in search. As long as your CMDR name is spelt correctly, we can send you a invite request in game. The following Commanders have been granted docking privileges in the MOBIUS PVE EURASIA PC group. The following commanders have not submitted forms and deemed a 'random' in-game join request. Their pending approvals have been declined and are advised to fill in a form and resubmit an in-game request.